This is an updated version of a blog post which was originally published on 21 November 2017. Some big changes to Erasmus+ volunteering activities for young people were revealed in the 2018 Programme Guide and subsequent corrigendum, not least the disappearance of the much-loved European Voluntary Service (EVS). 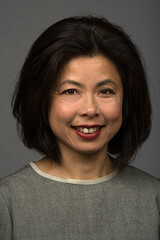 In this blog post, UK National Agency youth volunteering lead Fumie Izaki explains the changes. Volunteering activities for young people within the Erasmus+ programme have undergone a major overhaul for 2018 – but with more than €7 million available to youth organisations there are still plenty of funding opportunities. The most noticeable change is that European Voluntary Service (EVS) no longer appears in the Erasmus+ Programme Guide. EVS ran for over twenty years and was used very successfully by UK organisations to send and host young volunteers and to offer life-enhancing opportunities to young people. As part of a wish to capitalise on this success and actually increase the reach of these types of activity, the European Commission (EC) will be launching a whole new initiative dedicated to young people during the year. More details about this new initiative, the European Solidarity Corps, are given below, but first let’s look at how volunteering for young people within the Erasmus+ programme will be changing. Although EVS is no longer part of the programme, the European Commission has introduced similar projects for young people to participate in unpaid and full-time voluntary work in another country. These are called Volunteering projects and they sit within Key Action 1 youth mobility in the same way that EVS did. Volunteering projects encompass similar mobility activities to a standard EVS project and allow young people aged 17-30 to take part in the activity for up to 12 months. Individual or group activities, or a combination of the two, continue to be possible and the maximum number of people who can be involved in group activities is increased from 30 to 40, with a minimum of 10. So far things look pretty similar to EVS - and, indeed they will be for youth application rounds 1 and 2 next year. When the new European Solidarity Corps is launched thereafter, volunteering activities between European Union (EU) Member States will be incorporated into this new initiative. What this means for UK individuals and youth organisations is that Volunteering projects within Erasmus+ must now be carried out with a non-EU Programme country or with a Partner Country neighbouring the EU. So UK organisations can only send their volunteers to these countries (a full list is here on our website), and can only receive volunteers from these countries. Individuals and organisations wishing to participate in volunteering activities between EU Member States will then have to apply under the European Solidarity Corps programme. Organisations wishing to take part in Volunteering projects still need to be accredited and the good news is that existing EVS accreditations continue to be valid, so no need to reapply! Experienced EVS applicants will have noticed that Strategic EVS for organisations is also no longer part of Erasmus+ in 2018 but, once again, many of the benefits are now included in general Volunteering projects. As in Strategic EVS projects, for instance, applicants are able to include complementary activities aimed at strengthening the impact of the project such as workshops, training courses or webinars. Similarly, applicants can involve associated partners who are not listed in the application and do not receive funding but contribute to the implementation of the project and in meeting its aims. The European Solidarity Corps is a new EU initiative which creates opportunities for young people to volunteer or work in projects in their own country or abroad that benefit communities and people around Europe and has a proposed budget of €341.5m. A separate Call for Proposals and Programme Guide will be released later in the year and we will let you know the latest information as it becomes available. We would strongly encourage previous and existing EVS beneficiaries to consider applying for funding when the time comes. 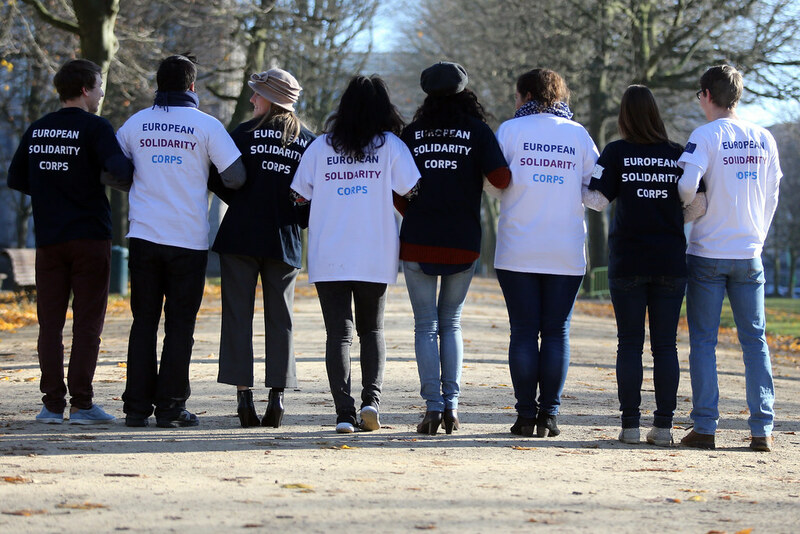 In the meantime you can find out more about the European Solidarity Corps on our webpage. Any youth organisation wishing to take part in Volunteering project activities to host and/or send volunteers must have accreditation. Existing EVS accreditation will be valid for both Erasmus+ and the European Solidarity Corps, and newcomers considering applying for the Corps should still apply for this EVS accreditation. A new accreditation, known as the Quality Label, will be introduced in 2018 for those without accreditation. For Youth Exchange and Volunteering projects, Organisational Support rates have been increased for a number of Programme countries including the UK following consultation with the European Commission. Individual Support rates for Volunteering have also been increased by €1 per day for all countries, except Belgium. A full list of rates per country is included on pages 92-93 of the Programme Guide. The UK National Agency will also continue to allow unincorporated registered charities to apply following consultation with youth sector stakeholders in the UK which has resulted in more inclusive eligibility criteria agreed in preparation for 2017 Round 3. More information on organisation eligibility will be published, along with the relevant application forms, within our dedicated guide for applicants later this year. We would like to encourage all youth organisations interested in volunteering to apply for Erasmus+ and European Solidarity Corps activities as appropriate. Although there will be changes in 2018 there will still be a substantial amount of funding available which can benefit UK organisations and young people. EVS-accredited organisations will still be able to undertake the same kinds of activities which they have offered previously. So, please take a look at the latest information on Key Action 1 youth mobility and get in touch if you would like to ask us any questions or talk through your project ideas. To get the latest news about the European Solidarity Corps and other programme updates, don’t forget to sign up to our monthly newsletter.